Question: I’ve forgotten my iPhone’s passcode, how can I restore iPhone without passcode? Are you faced with the daunting decision on how to regain access to your iPhone when you have forgotten your passcode? Don’t worry about it, we’ve all been there and as unfortunate as it may be, we’ve got the solutions for you. In this article, we will be showing you some of the different methods that will help you to get back into your iPhone without a passcode, so let’s jump right into it. We highly recommend to permanently restore iPhone as it is the safest option, although the other methods will still get the job done. If you synced your iPhone to iTunes before, you can use iTunes to restore iPhone without passcode. Or you can restore iPhone directly from the Settings app. The first method to restore iPhone iOS 12 without passcode that we are going to show you is using an iPhone data eraser called iMyFone Umate Pro for Win or for Mac. It’s an all-in-one solution for space saving and privacy protection. Use its Erase All Data feature can perform restore iPhone without passcode. It’s much safer and strongly recommended to reset iPhone especially when you want to sell, give away, or donate your iPhone. Unlike normal factory reset in which data is still recoverable, erased data by iMyFone is 100% unrecoverable as data is completely overwritten. Note: To restore iPhone without password, firstly, you should make sure that "Find my iPhone" is turned off. Step 1: Start by downloading iMyFone Umate Pro on your computer, launching it once it is installed, and connecting your iPhone. Step 2: After the program has fully loaded, click on the Erase All Data feature from the left panel and hit Erase. Step 3: Choose the security level and click on Erase Now button to start. Many well-known media, like MacWorld, iPhoneinCanada, APPKED, etc. recommend iMyFone Umate Pro to reset your iDevice safely. 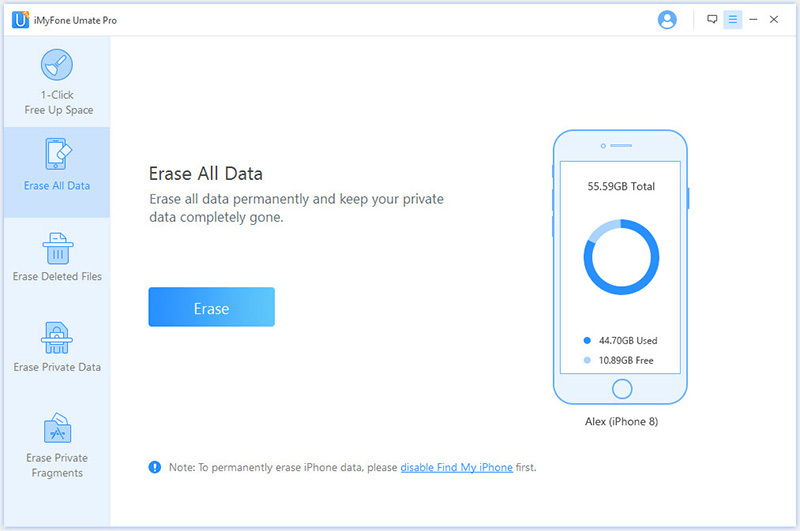 Permanently erase data from your iPhone which was already deleted. Permanently delete third-party apps data or leftover traces from your iPhone, iPad, iPod. After using iMyFone Umate Pro to erase data, that data can’t be recovered by any means. 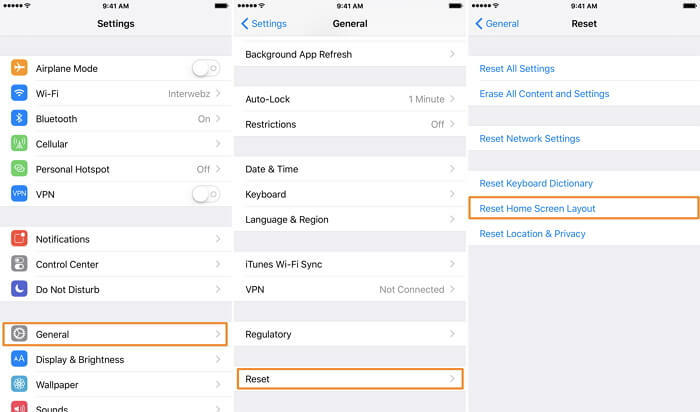 Selectively reset private data from iPhone: messages, call logs, browsing history, photos & videos, contacts, notes, etc. It only works when your iPhone has been synced to iTunes before. Step 2: Take a backup of your iPhone before restoring your device as all of your personal data will be removed. Step 3: Click on the “Restore iPhone” button. Step 4: On the popup box which then appears, click on “Restore”. Step 5: Follow the various steps which are shown on your screen and afterwards, the most recent iOS version will be downloaded and installed on your device. Step 6: Your iOS device will now be restored and if you want to have your personal data restored, simply use iTunes to restore the backup. Lastly, we will be showing you how to restore iPhone iOS 12 without passcode directly from Settings app. Step 1: On your iPhone, launch the “Settings” application and follow “General > Reset”, and lastly tap on “Erase All Content and Settings”. Step 2: You will be prompted to confirm that you want your device erased, tap on “Erase iPhone” to confirm. Step 3: Your iPhone will now be wiped. Once it restarts, you will have to manually set it up as if you had just purchased it. Step 4: At this point, if you have taken a backup of your data using iCloud you will be able to restore this backup back onto your iPhone.